Its time for cupid to strike with his bow and arrow and put some hearts around your home! Allow us to play cupid for you. We will decorate your home and/or your room in the most magical way ever! 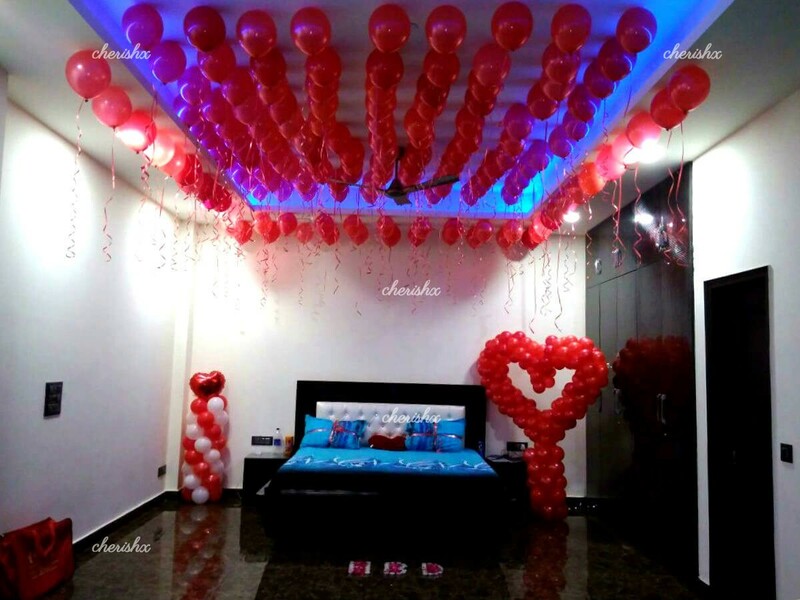 With a red theme, balloons will be stuck to your ceiling in bunches with removable tape, and red foil balloons in the shape of hearts will be stuck in a cute way around either side of your bed. 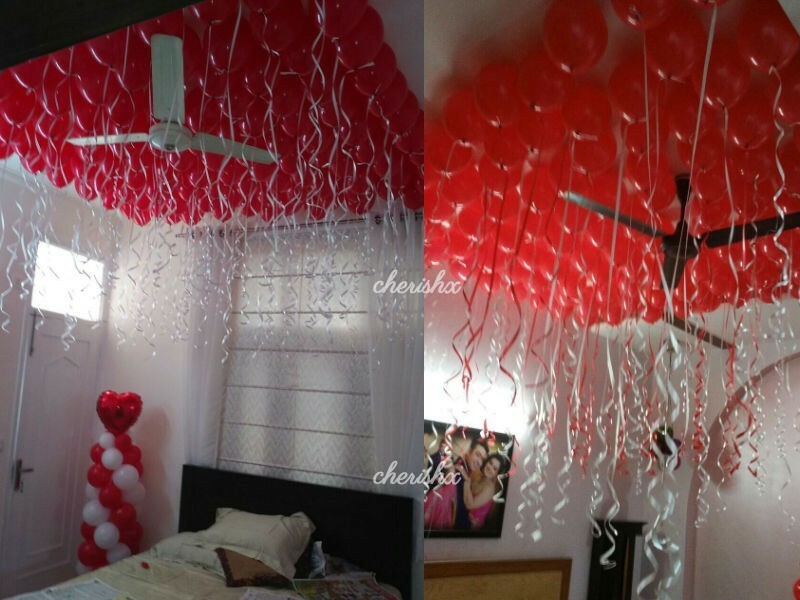 Along with that, alphabet foil balloons will be used to spell out the words "I LOVE YOU" bright and bold on the wall. 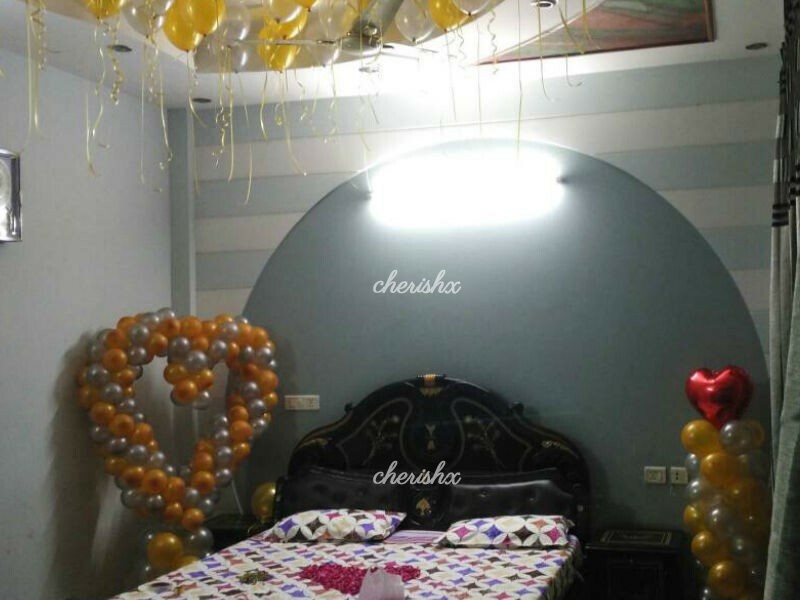 Heart-shaped foil balloons will also be kept on the bed, and there will be strings of red hearts dangling from the walls and above the headboard, with cute messages attached to it. LED lights shall adorn and illuminate this decor! 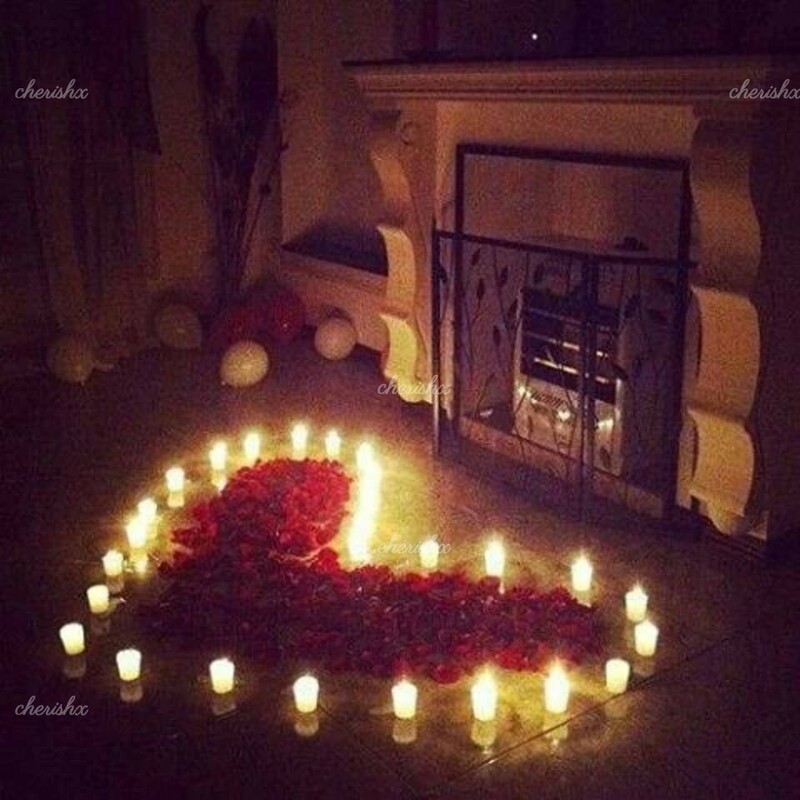 Win the heart of your loved one and create the most romantic ambience with this package! 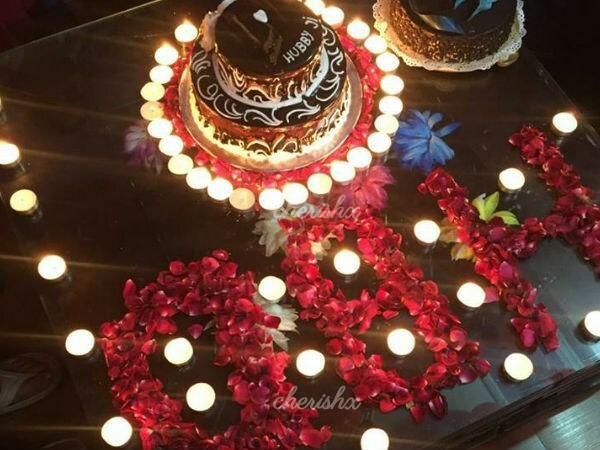 When someone sees this decoration, they will think that cupid has actually come and done it himself! So dont overthink, buy this package and make your partner smile!